The James Bond Roulette Strategy is one of the many roulette strategies used to lower the house edge on the roulette game. It is a rather simple strategy that requires you to have a bankroll of between £100 to £200 to comfortably place bets using this strategy. 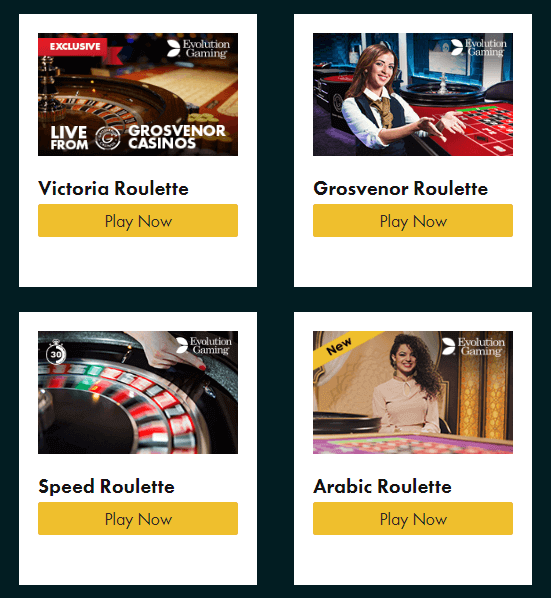 To place a bet using the James Bond Roulette Strategy, here is what is required of you – you’ll need to place a bet of £50 on six numbers, 13-18, a bet of £40 on the high numbers (19-36), and a final bet of £10 on zero to act as insurance. If you happen to have a number between 19 and 36 as your outcome, you will have an £80 profit. If any of the numbers between 13 and 18 becomes the outcome, you will have a £100 profit. If zero is your outcome, you shall have a £160 profit. If you have a number ranging from 1 to 12 as your outcome, you lose the bet. By using the James Bond Roulette strategy, you should have made up your mind that you can quickly accumulate earnings with the strategy and quit playing once you have enough profit. It is also important that you use this strategy when you have a healthy bankroll so that you can cushion yourself in the case of a possible losing streak. No, the James Bond Roulette Strategy does not work. In fact, it’s just a fictional strategy popularized by the famous James Bond character in the movies. The bet that you place 19-36 usually covers half the wheel. The reality is when you place the bets, you shall have made three independent bets which are not connected in any way as well as not representing any section of the wheel. There is no bet that makes the bets you’ve placed special. If you still need convincing that the James Bond Roulette Strategy does not work, you should try placing bets over a statistically huge numbers of spins. Try the Roulette wheel at the land based casinos or even the RNG roulette wheel. To start, use the flat betting strategy, meaning that you will be placing bets of the same size regardless of the wins and then look for a roulette simulator which shall stimulate real wheel physics. After that, compare the win rate with what you shall have found from the Random accuracy. You will discover that the rate at which you shall be winning won’t be any different from the random one. If The James Bond Roulette Strategy doesn’t work, which strategy works? There are other roulette strategies that you can use to reduce the house edge. Unlike the James Bond Roulette Strategy, these other strategies have been tried and proven to work. The Labouchere Strategy, which is also referred to as the Cancelation strategy, is a strategy that needs you to construct your betting line and cancel the numbers off it as you win the bets. Although this strategy is a little bit twisted than most of the other strategies, it has proven to work for most people. Before using it, you are advised to do some practice. The Oscar’s grind is yet another roulette strategy. It is a black/red system, which you play in stages of four targeting a profit of 1 unit for every cycle. With this strategy, the bets are increased after every successful win but remain the same when you lose. The Martingale betting system is yet another popular system that involves increasing your bets after a loss until you finally get a win. 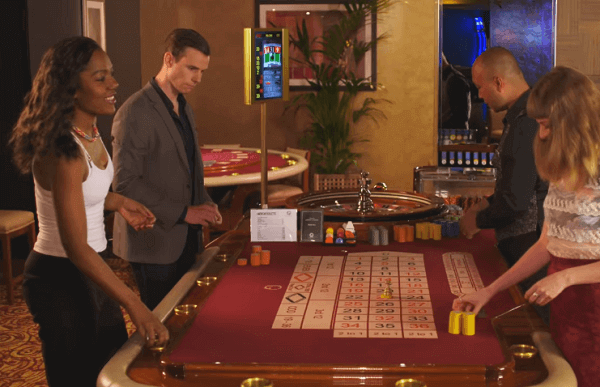 The system is widely used on the red or black bets, but you can also use it all over the roulette table once you have the right progression. 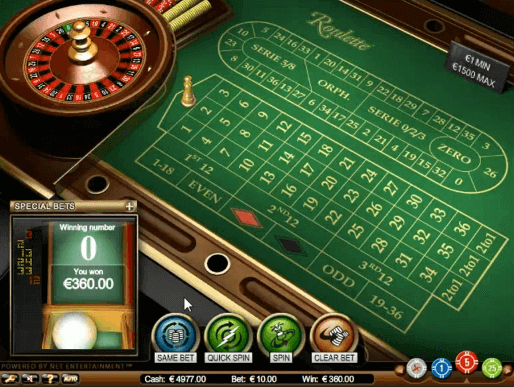 Besides the commonly used roulette strategy and the James bond strategy, the following basic tips will help you beat roulette both at the land-based casinos and online. Note that they only work if they are correctly used. There are three common types of roulette wheels. The American, European and French roulette wheels all, which have varying house edges. The American roulette has the highest house edge at 5.27%, followed by the European at 2.7% and lastly the French at 1.3%. By choosing the French wheel, you will be increasing your chances of winning as compared to the American roulette. 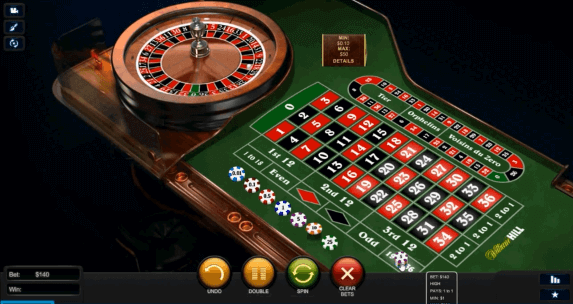 Roulette tables play a very important role when it comes to the outcome of the game. This is because the tables are all designed differently with different shapes and sizes. Moreover, different casinos will have tables that have different slots/pockets on the roulette wheel. As a piece of advice, always go for the new tables that have deep slots. This way, there will be very little room for error when the wheel is spun and the ball is thrown to the table. 50% of your roulette outcome greatly depends on the casino that you decide to choose. Casinos that are well established and are reputable for offering exemplary roulette services are highly recommended. At this casinos, you will find various roulette options. Furthermore, you won’t be subjected to biased results as they usually have their roulette wheels audited by some of the tops casino third party auditing bodies. The free gaming option is widely available at the online casinos and allows you to test your skills before placing some money. Whether you are an armature or an advanced player, it is usually advisable that you start by playing using real money.